Wanaka is surrounded by lakes, rivers and creeks that are known for their clear waters and trout and salmon fishing. On this day-long trip, drive out to one of the region’s many renowned fly fishing spots. 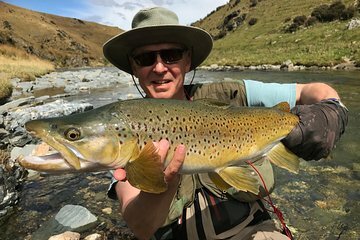 If you’re new to fly fishing, your guide will show you the ropes; more experienced fly fishers can take advantage of your guide’s local knowledge to improve your chances of catching a big one. Departure time will be made to suit for the distance we plan to travel to the water for the day.